Life-saving Vaccines, Adoptions, Hope Email not displaying correctly? Imagine being told by the army that you must evacuate your home for three days because of a problem at the nearby power plant. You pack a small bag, tidy the house, and set out extra food and water for your pet. Three days pass, then a few more, you worry the pet food has run out. Finally someone tells you the truth-you will never be allowed to go home. You will never be able to save your pet. This is the plight of the dogs of Chernobyl. The Dogs of Chernobyl finally have hope for a life with a loving family. Our partner Clean Futures Fund has worked diligently to track radiation levels in dogs and the results are in...many dogs are safe for adoption and ready to find their perfect family. In February 2018 a stray dog found its way on top of the safe confinement structure covering the Unit 4 reactor at the Chernobyl Nuclear Power Plant. Three workers performed a daring rescue (caught on video) to ensure that this dog was brought to safety. We give direct support at the grassroots level by awarding Shelter Support Fund grants to animal organizations in need of assistance throughout the U.S. and all over the world. 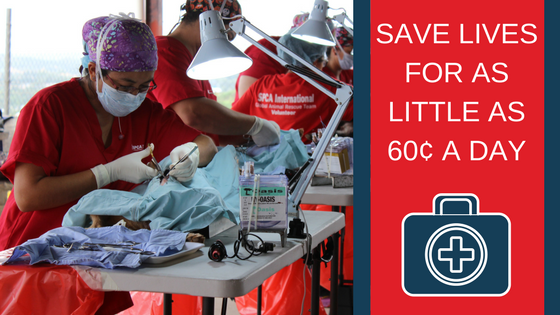 These much-needed funds go a long way toward helping animal organizations improve their facility conditions, rescue more animals in need, and expand spay and neuter programs that ultimately reduce euthanasia rates. 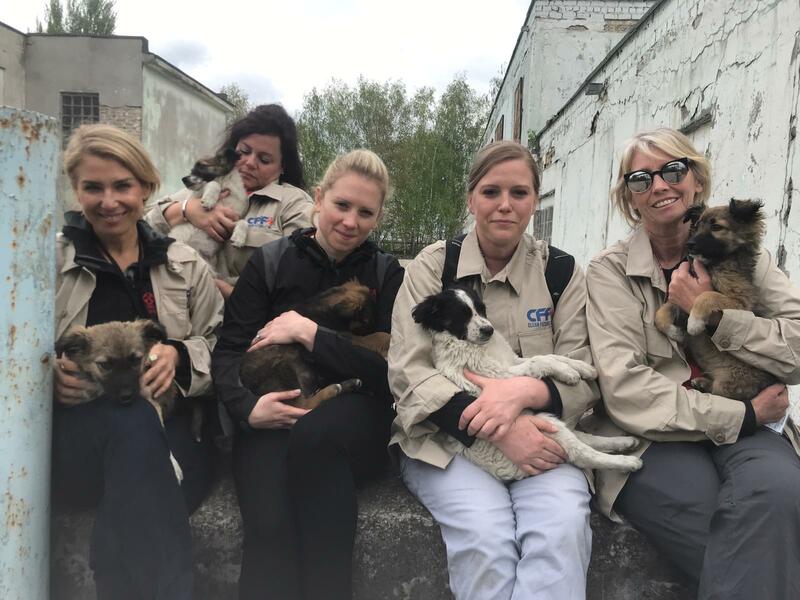 The SPCA International staff meets with our partners regularly to help with special projects, like the Dogs of Chernobyl spay and neuter clinics, which are funded in part by Shelter Support Fund grants.